The Blenheim lead crystal panel brandy glass has diamond cut detail and is a traditional shape. There is an engraving area which can be personalised with any logo, crest or wording. 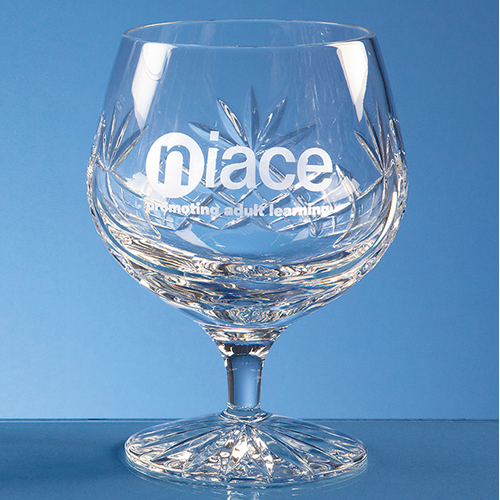 This brandy glass would make a great gift that will be treasured by the recipient and it would not look out of place at special occasions and events. Also available in the Blenheim collection are whisky tumblers, wine glass, goblets and champagne flutes.